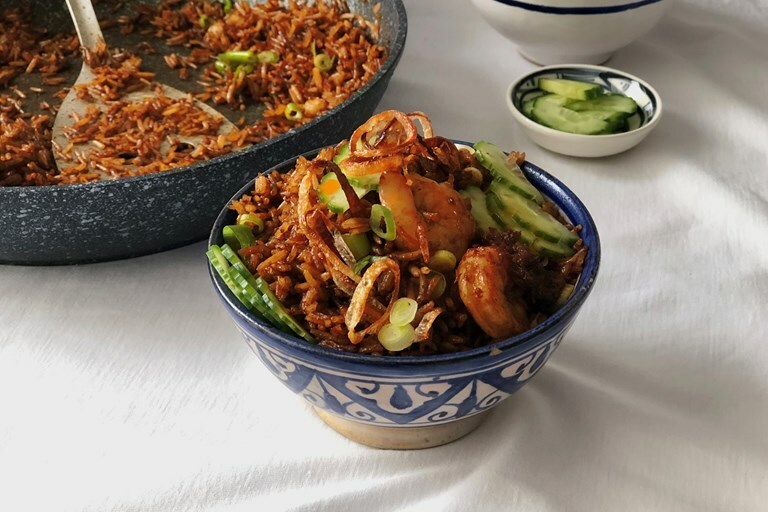 This nasi goreng recipe shows how easy it is to recreate the beloved Indonesian dish at home. Prawns are fried together with rice and a trio of Asian condiments before being topped with spring onions, crispy shallots and cucumber. Take a look at Shu's other fried rice recipes here.